Golden, crispy, fried-potato perfection can’t be achieved just anywhere—you need the right blend of frying technique and flavor innovation. 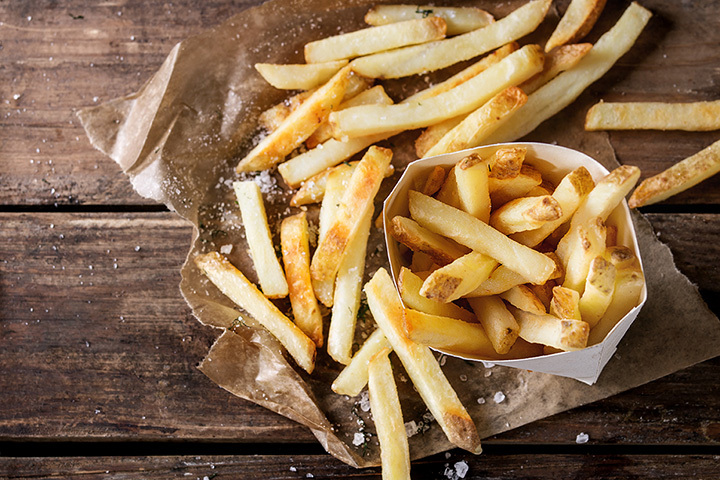 Try the fries at one of these 10 celebrated spots around New York State! Fryguys focuses on customizable dishes primarily made of French fries. Choose from two bases—classic fry or spicy “fire fry”—and add a sauce of your choosing, from chipotle mayo to chocolate sea salt. They also have loaded fries with various meats, cheeses, and other toppings. A Buffalo-area staple, Elmwood Taco & Subs focuses on owner Ron Lucchino’s fresh, original Mexican-food recipes. One of the restaurant’s standout features is its waffle-cut fries, which have had diners coming back since the 1970s. Fans are raving about the fries at Long Island’s popular burger joint Black Label Burgers, whether they’re regular, sweet potato, truffle, or cheese fries. Shake Shack isn’t just known for its juicy burgers and creamy milkshakes—the French fries at this popular burger chain are a big, golden, and perfectly crispy hit with customers. This shop on MacDougal Street specializes in high-quality Belgian-style fries, or “pomme frites.” Served out of an adorable paper cup, these fries are perfect late-night bites when you’re on the go. Tiny, crispy, garlicky, and fun, the seasoned fries you get at this hip West Village gastropub have more than earned their delicious reputation. This seasonal roadside hot dog stand has been a local hot spot in Orchard Park for generations. Whether you sample the sweet potato fries or the extra-long curly fries, your taste buds are bound to be satisfied. #BuffaLove 'ing all over Taffy's! The “Disco Is Dead Fries” at Bridge View Tavern make the perfect appetizer, piled high with everything from wild boar chorizo to cheese sauce and Applewood-smoked bacon. Great care goes into making the fries of the steak frites dish at this ornate New York City restaurant. The potatoes are soaked overnight and then cooked in peanut oil for maximum crispiness. The fries at this Albany burger establishment have earned a fan following of their own. Expect thick-cut potatoes and sweet potatoes and a perfect ratio of toppings like bacon, cheese, barbecue rub, truffle oil, and more.